The 16th annual Trout Stocking Family Day is Saturday, April 13 from 10 a.m.-2 p.m. at North Prairie Lake in Cedar Falls. The free event is hosted by the Cedar Valley Walleye Club, Iowa Department of Natural Resources, Cedar Falls Parks Department and Cedar Falls City Council and co-sponsored by Scheels and Hy-Vee. The DNR will stock the lake with trout early in the day. Kids can fish for free and every youth receives a prize. The first 50 kids receive a free tackle box. Adults are required to have a valid fishing license and trout stamp. Free hot dogs will be served courtesy of the CVWC and Hy-Vee. For more information, go online at www.cedarvalleywalleyeclub.org or scheels.com/events. 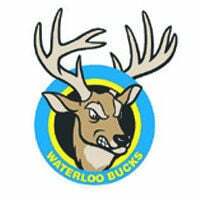 The Waterloo Bucks have announced a summer high school baseball schedule at Riverfront Stadium that includes eight varsity tournaments featuring teams from the Cedar Valley and across the state along with six midweek doubleheaders. Dates are May 24 (Mount Pleasant, Davenport Central), May 25 (St. Ansgar, Tripoli, Dike-New Hartford, North Iowa), May 29 (Waterloo Columbus, West Delaware), June 7 (Davenport West, Williamsburg, Denison-Schleswig, Mid-Prairie), June 8 (Columbus, Lisbon, Dyersville Beckman, Don Bosco), June 29 (Columbus, Davenport North, Ankeny Christian, Grundy Center), July 5 (East Marshall, Van Buren, Sioux City North), July 6 (Columbus, Waukon, Martensdale-St. Mary’s, Woodbury Central). Waterloo Leisure Services has openings remaining for its summer AA Optimist baseball, AAA Optimist baseball and softball and Major League baseball and softball leagues. Registration deadlines for all leagues is April 17. For more information, call (319) 291-0165 or go online at www.cvsportsplex.org. Oelwein High School has hired Bob Lape as its varsity head football coach. Lape, a graduate of Upper Iowa University, has 24 years of coaching and teaching experience and spent 11 years as North Fayette Valley’s head football coach where his teams went 93-32 with five trips to the state semifinals and a state championship in 2014. The Waterloo Junior Golf Association has set its 2019 schedule. The WJGA will kick things off with its annual free clinics May 30 at Pheasant Ridge Golf Course in Cedar Falls and June 4 at Irv Warren Golf Course in Waterloo. Mini-tour tournaments are June 17 at Beaver Hills, June 19 at South Hills, June 26 at Sunnyside, July 1 at Waverly, July 3 at Irv Warren, July 8 at Prairie Links in Waverly, July 10 at Fox Ridge in Dike, July 15 at Gates Park and July 18 at Pheasant Ridge. The junior championship is scheduled for July 24 at Irv Warren. Cedar Valley SportsPlex is accepting registrations for 2019 summer swimming lessons. Four sessions will be offered at Byrnes Park and two each at Gates Park and the Cedar Valley SportsPlex. The first session starts June 3 at Byrnes. For more information, call (319) 291-0165.